What is Dash(DASH) Coin? - Everything you need to know! Dash interpreted as Digital Cash, is an open source and peer-to-peer Cryptocurrency and it involves a decentralized platform. Earlier it was known as Xcoin, which was introduced again in 2014, with the name of Darkcoin. And yet again, In March 2015, it was renamed as Dash from Darkcoin. It is the eighth-largest Cryptocurrency by market capitalization and is one of the most popular cryptocurrencies in the world. So, What exactly is DASH? It is the Cryptocurrency founded in January 2014 by a developer named Evan Duffield. It is the Digital cash which can be spent anywhere. It is used for private payments online or in-store all over the world. It allows the users to perform instant transactions in less amount of time with low transaction fees. Thus, it is the currency which is exchanged over encrypted software. 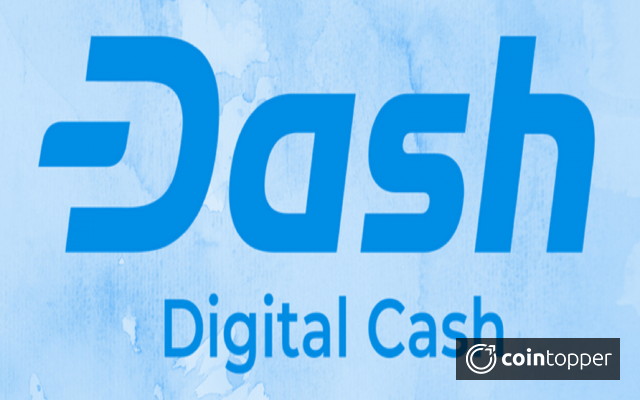 Dash is growing at an extraordinary pace since its launch as it has grown up to 4,100 around masternodes and it is one of the largest peer-to-peer networks. It provides access to more users to access the Digital cash from all over the globe. Everyone is aware of the Bitcoin which is the biggest Cryptocurrency in the market and it is making money decentralized. The developer of Dash was impressed with Bitcoin technology but he realized that Bitcoin was not private and fast enough. It is unable to make transactions anonymously. So, Evan came up with the “Dash”. - Bitcoin uses Proof of Work Algorithm whereas Dash uses X11 algorithm which is the modified version of the Proof of Stake algorithm. - In Bitcoin, it takes 10 minutes for block generation but in Dash, it takes 2.5 minutes. - Dash is very instant as it confirms the payments in four seconds but BTC takes 10 minutes or more time to confirm the status of the payment. - Bitcoin charges around $6 as transaction fee whereas Dash charges $0.4 for processing transaction and it will increase when more people start using that. - In Bitcoin, it is difficult to implement changes as it doesn’t have a governance structure whereas Dash follows the voting system so that important changes can be implemented quickly. - Only 21 million Bitcoins can be ever mined, in the same way, 18 million is the limit for Dash to be mined and till now, 8.27 Million Dash coins exist currently which is worth $1.65 Billion. Dash can be bought from Changelly, which is an instant exchange where various cryptocurrencies can be exchanged. - Dash address where user likes to receive dash. - Bitcoin/Litecoin currencies to exchange for Dash. It includes Ledger Nano S, Trezor, KeepKey. It includes both private keys as well as public key and it is the cheapest form of cold storage. It includes Android wallets and IOS wallets. It is possible to send out the funds privately by mixing it with other Cryptocurrency transactions, thus it is difficult to identify any specific transaction. This can be achieved using a coin mixing service based on CoinJoin. It allows to process transactions instantly within seconds, but in the case of Masternodes, Charging fees are high. Using Instant Send, double spending problem can also be resolved. These are special nodes which perform private send and instant send and as a reward, they earn 45% block reward. Cryptocurrencies are easy to use and due to their anonymous features, it is getting more popular these days. Especially in case of Dash, transactions are much cheaper, faster and more secure. Dash aims to be the primary holder of the market by becoming the medium for daily transactions. Most of the countries are starting accepting Dash Cryptocurrency. Dash is becoming the competitor in the market and taking over on Litecoin and Bitcoin. Dash starts investing in many fields such as Research and also getting in partnership with sports betting site Fanduel for the crypto cup which the fantasy league for basketball. Last but not the least, Dash is not going anywhere and is here to stay with its flexibility and really solid infrastructure.